Comcast has a new offering that the company likely hopes will make its customers reconsider cutting the cord. The cable giant said late-Sunday that its broadband internet customers will soon have the option of paying just $15 a month to get live access to about a dozen TV networks over the web. Comcast’s (CMCSA) new service, called Stream, includes the major broadcast networks, as well as HBO, and customers will also have access to “thousands of on demand movies and shows,” the company said. Stream also comes with access to Comcast’s TV Everywhere web streaming app and a cloud DVR for recording and storing content. The offer is only available to Comcast broadband subscribers and, to start, Comcast will first launch Stream in the Boston area at the end of this summer before eventually expanding the service to Chicago and Seattle. The company said Stream will roll out nationally early next year. With the introduction of Stream, Comcast joins the ranks of large media companies courting so-called “cord-cutters,” who have shown a reluctance to pay for traditional large cable-and-internet packages. Earlier this year, Verizon (VZ) launched its FiOS Custom TV service, which offers modified á la carte pricing for slimmer, customizable pay-TV bundles. Meanwhile, Dish Network (DISH) offers a similar subscription service, Sling TV, and cord-cutters can also opt for services like Sony’s (SNE) Playstation Vue. 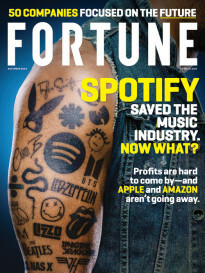 The increase in the number of options for streaming online content without a cable subscription follows the rise in subscribers for services such as Netflix (NFLX), Hulu, and Amazon’s (AMZN) Prime. 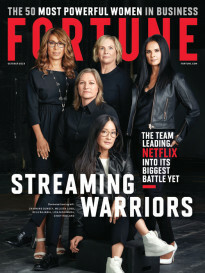 The main difference between the other services available to streaming TV customers and Comcast’s Stream is that the latter is only available to Comcast’s own broadband subscribers, which allows the company to offer cord-cutter-like service without encouraging its customers to actually cut the cord. Meanwhile, as Re/code notes, customers would be paying the $15-per-month for Stream on top of Comcast’s broadband-only subscription, and the combined total of those two packages could actually exceed Comcast’s basic, $45-per-month TV and broadband package, which also includes HBO. Comcast’s basic “Economy Plus” internet service costs about $35-per month.